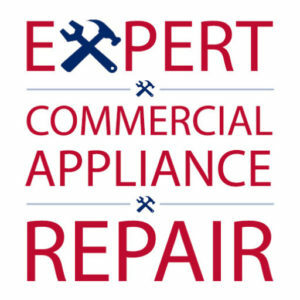 Expert Commercial Appliance Repair is one of the best rated repair companies in San Jose and the South Bay area. We always offer fast service and we currently have two branches strategically located in the San Jose metro area with two more opening soon in Los Gatos and Milpitas. All of our certified commercial repair technicians have a minimum of fifteen years of experience with our managers, being the most seasoned with 20+ years of repair experience. All of our repair technicians are licensed and insured to fix, install and repair all types of appliances including those antique models that the other guys can never figure out. We also have many of the necessary replacement parts either on hand or at our warehouse in order to help ensure same day service. We repair all types and makes of commercial refrigeration and heating units. From commercial gas ovens and stoves to commercial refrigerators, commercial meat freezers, reach- in glass door coolers, wine coolers, commercial grills, slicers and commercial microwaves. We’re the experts and one call will handle it all! Additionally, many of our repair techs are also certified with the EPA. This is important for maintaining the law’s strict guidelines for sanitary measures and ensuring the safety of your customers. We will run multiple tests on your commercial appliance and triple check that it is running properly. In fact, we go above and beyond many of the state’s minimums to always ensure the best and safest service every time especially, when it comes to refrigeration and also water consumption (no one beats our rates and monthly maintenance prices for ice makers and water dispensers). We’re also proud to be a veteran-owned and operated business. Appliance repair companies are notorious for bad service and no communication. We are one of the few companies who always follows through on their word and promise. In addition, as fellow business owners we understand and know what it is like to have a vital piece of your company down. You can trust us with your restaurant or cafe. We will see to it that your kitchen is up and running again smoothly in no time! From Baking Ovens to Commercial Gas Ovens & Pizza Ovens – We Repair It ALL! As fellow small business owners, we know what it is like to have a vital piece of your operations down. You can trust us to get to your restaurant, bar, cafe, pub or business fast and on the same day. We often times dispatch many of our techs within the hour and to anywhere in San Jose and the South Bay area. Our Experts are the repairmen to call if the others guys cannot figure it out or if they are telling you that you will have to wait for two weeks on replacement parts (crippling your restaurant and business in the mean time). We carry many of the leading replacement parts for commercial appliances including for European, Korean and Japanese brands.